This book offers both experienced cardiologists and trainees alike the opportunity to identify and address the most common pitfalls encountered with echocardiology in routine clinical practice. 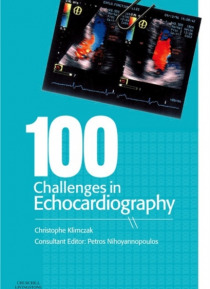 The book covers a series of challenges ranging from technical difficulties to problems with echocardiographic interpretation with each section presenting a series of simulations to test the reader's underst… anding of the problem. The text is written in a highly practical and didactic style which will help the busy physician by presenting the information in a succinct, 'essentials only' manner. The heavy use of high-quality illustrations serves to ensure that the concepts explained are supported by real-life examples and thus readily applicable to the clinical setting.Edited by an international expert.Abundant use of full-colour allows accurate representation of images to afford detailed discussion of the techniques involved.Didactic approach ensures delivery of key information in manageable portions thus saving time for the busy cardiologist.Includes the most frequent pitfalls associated with a range of techniques thus ensuring applicability to a variety of clinical settings and equipment availability.